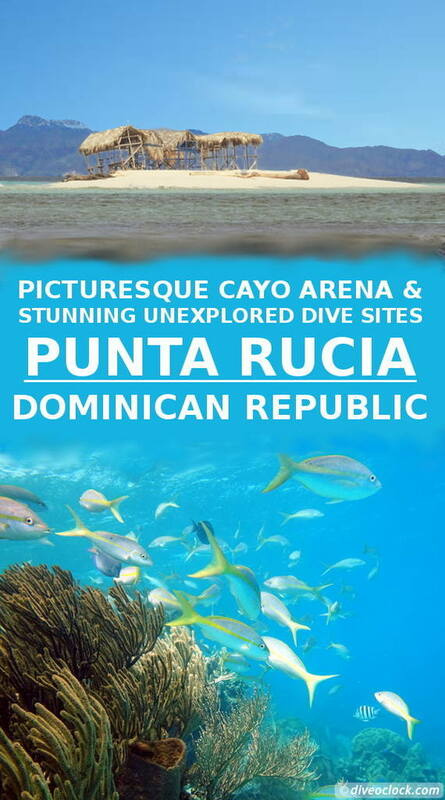 Punta Rucia - Cayo Arena and Stunning Unexplored Dive Sites (Dominican Republic) - Dive o'clock! 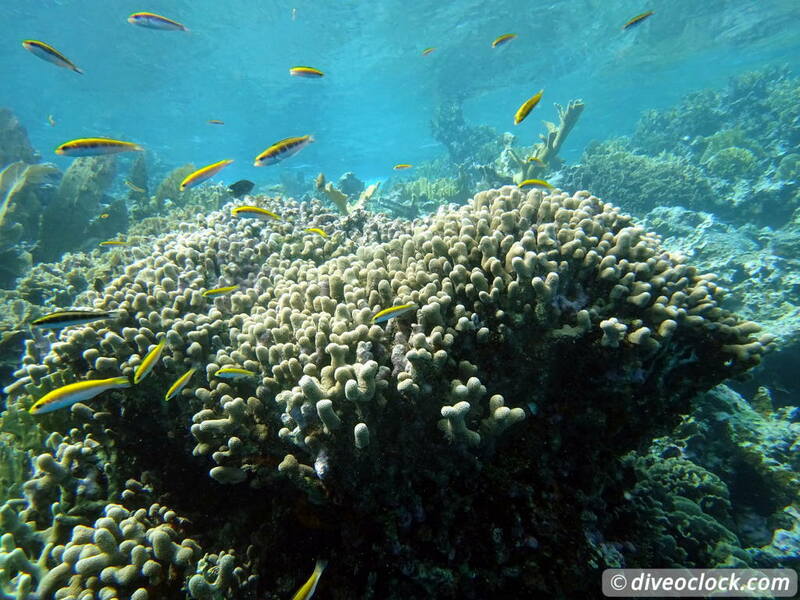 How about having a turquoise lagoon surrounded by a ring of corals teeming with marine life all to yourself? 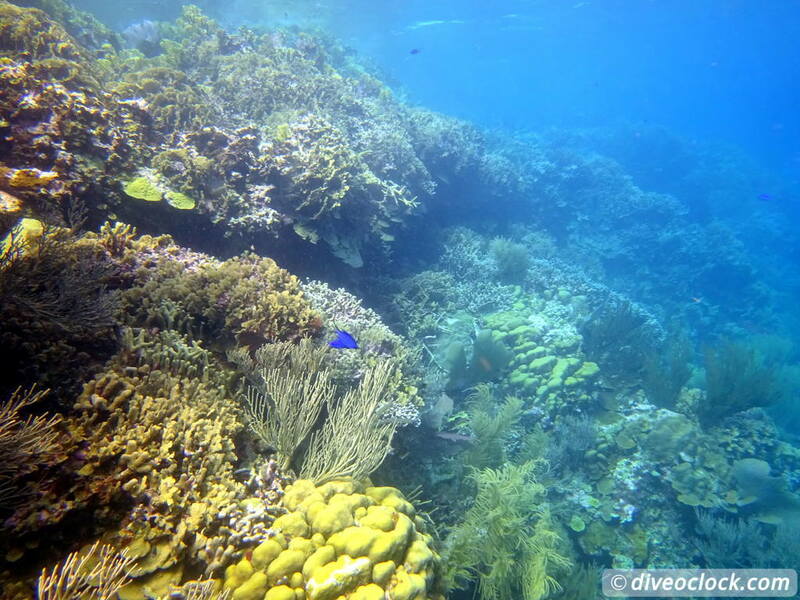 One of the three coral atolls of the Caribbean, one of the best dive areas in the Dominican Republic and for sure my favourite. 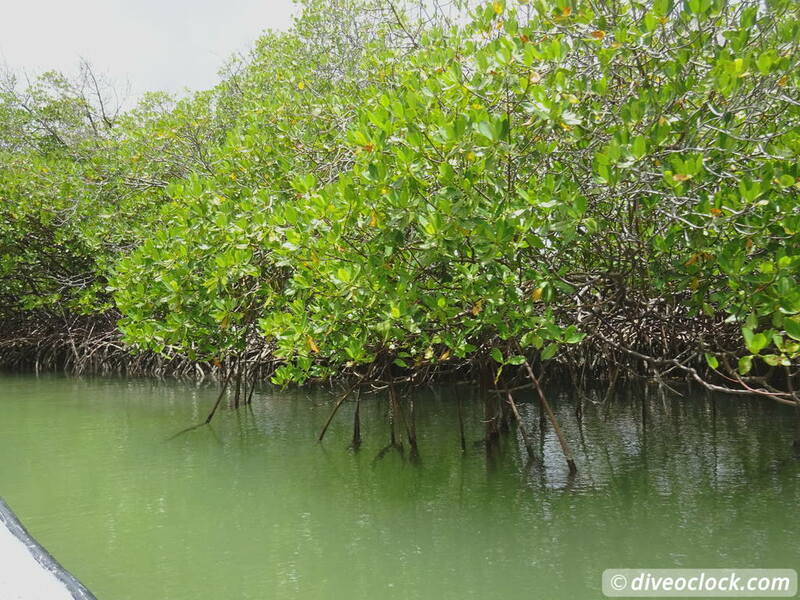 Along the North Coast of the Dominican Republic, of the sealed road, you can find the small village of Punta Rucia. 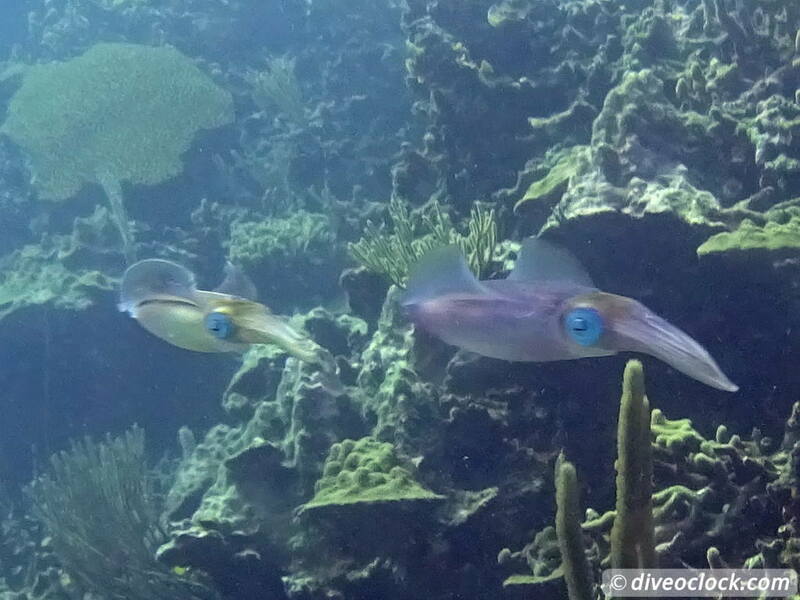 Basically it is located at the end of the Monte Cristi National park with coral banks stretching from Monte Cristi all the way to Punta Rucia (+40 KM / +25 miles). 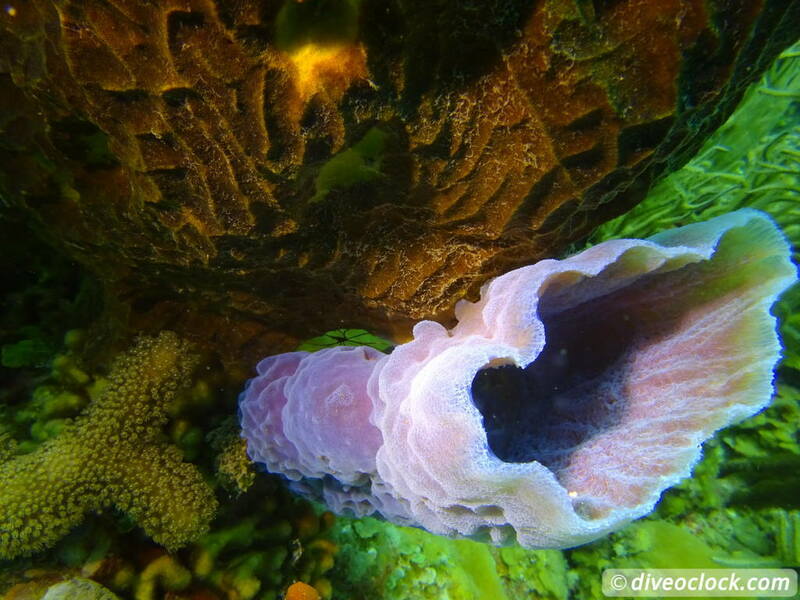 Coral banks are like a big ripple on the sandy bottom where a reef has formed, a submerged bank of coral surrounded by deeper flat areas. 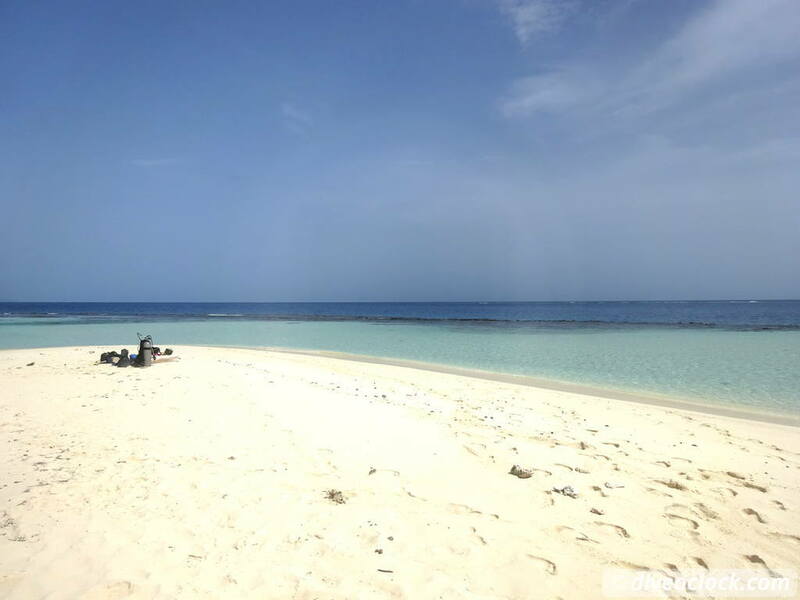 At the end of the park, really close to Punta Rucia the coral banks end with a ring of coral - an atoll - called Paradise Island or Cayo Arena as there is a sand bank in the middle. 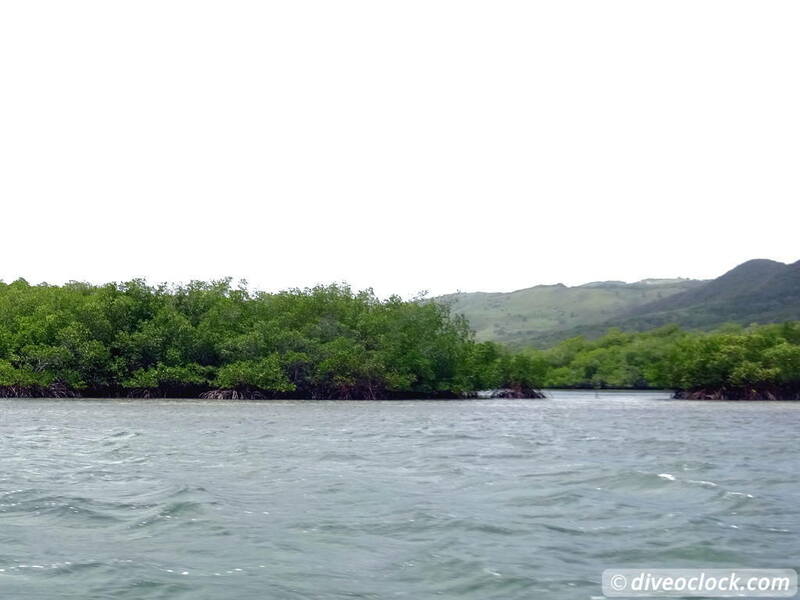 Cayo Arena or Paradise Island is a popular day trip destination from the Puerto Plata area. Touring cars with people wearing paper bracelets from their tour operator take over the idyllic area between 11 AM and 3 PM. 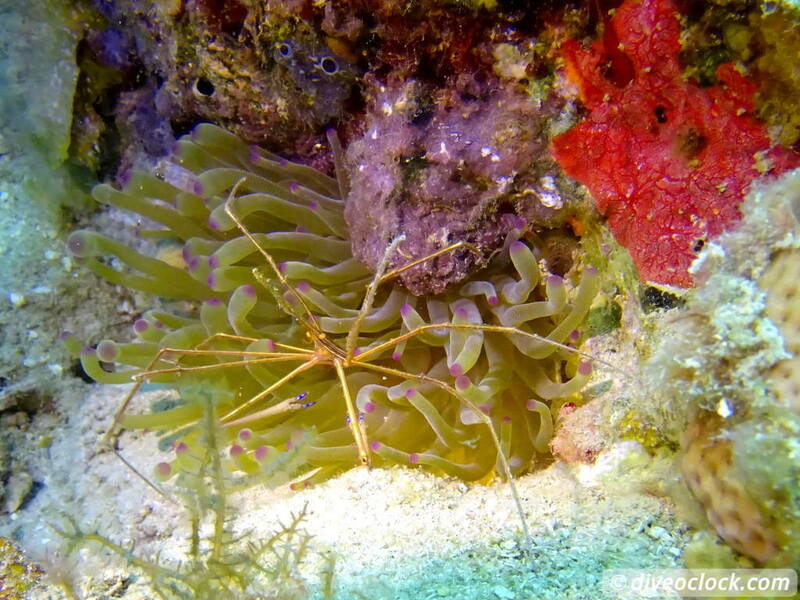 If there is something I do not like (especially when diving) it is mass tourism. 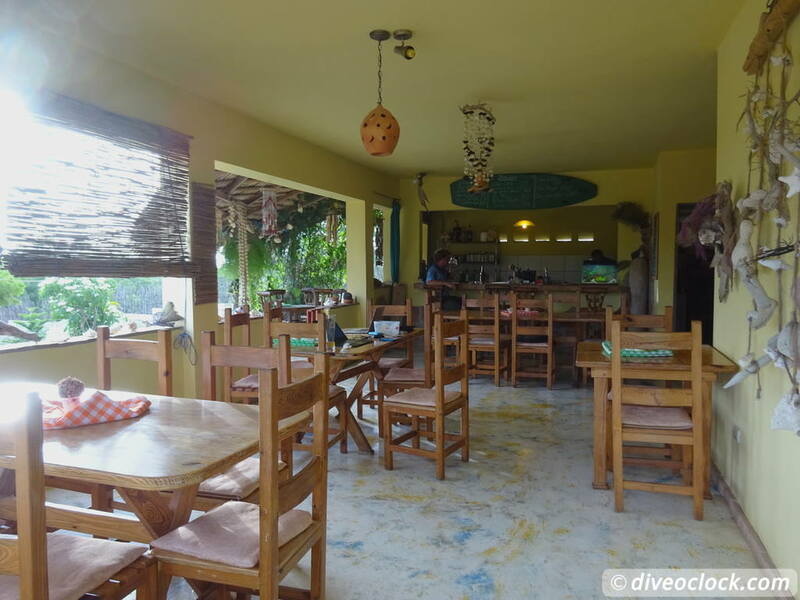 To escape these crowds and the crazy prices that often go along with them I was happy to find the only dive operator in Punta Rucia: Rene Thalheim. 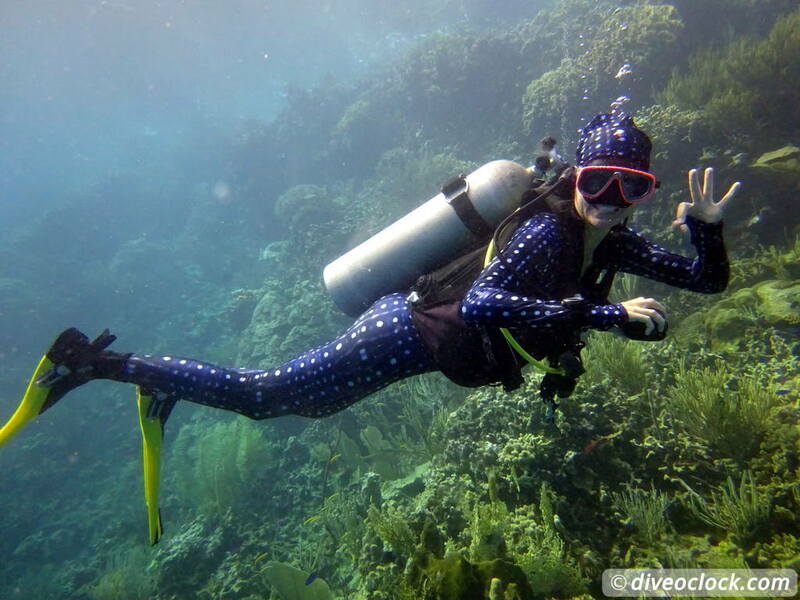 Rene is a certified dive instructor with lots of experience in teaching and guiding. 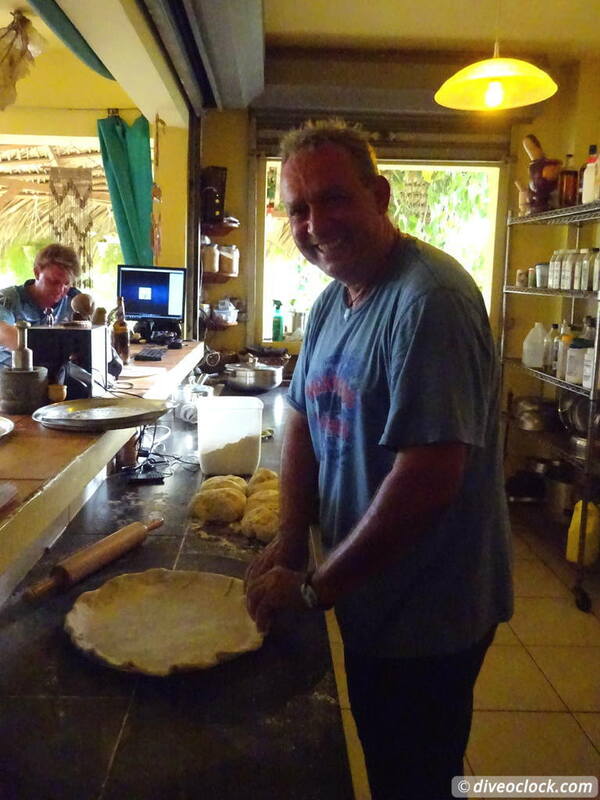 Now, he and his daughter are living in Punta Rucia where he has built his own dive and stay hotel with restaurant. Rene used to be a kitchen chef and obviously he still loves cooking. 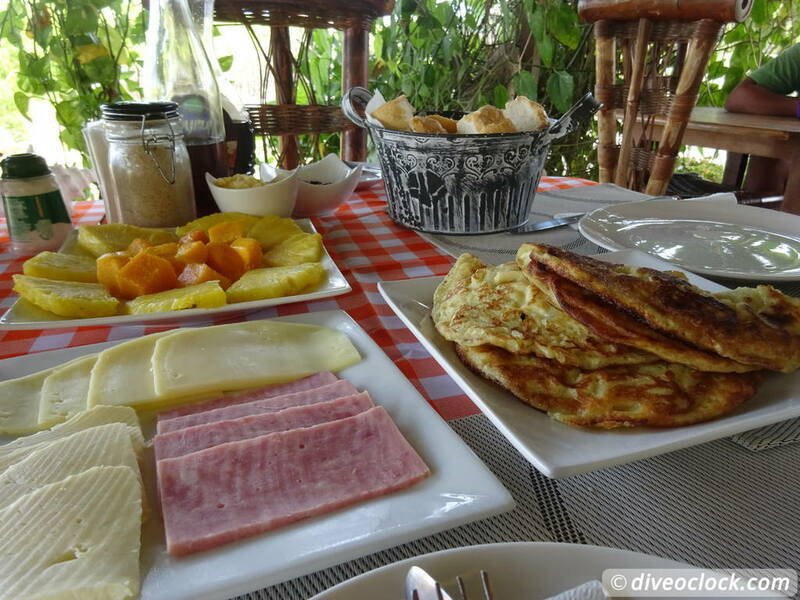 Being German he creates the best European breakfast, amazing German dishes as well as tasty Italian pizza. Cold German beers are obviously stored in the fridge and while being located a bit up the hill you have stunning sea views, perfect after a day of diving. Staying overnight in Punta Rucia is the perfect solution to escape the crowds, some days there are over 400 people arriving on this little sand bank... Also, many operators around only offer snorkeling trips or if you are lucky (pay a lot) two-tank dives on the atoll - Cayo Arena, while there is a whole lot more around! 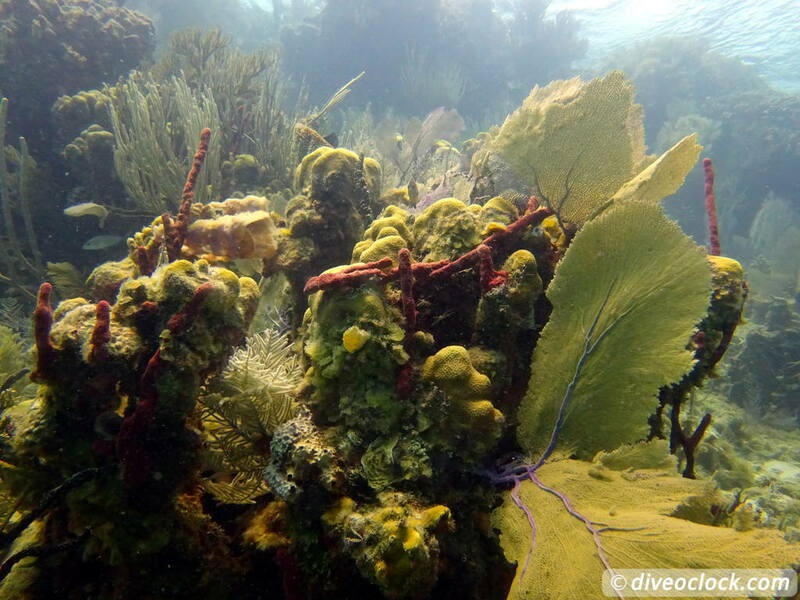 While I am not going to give away all the secrets there are two must see dive sites to explore with Rene, besides Cayo Arena which can be done in a single dive. 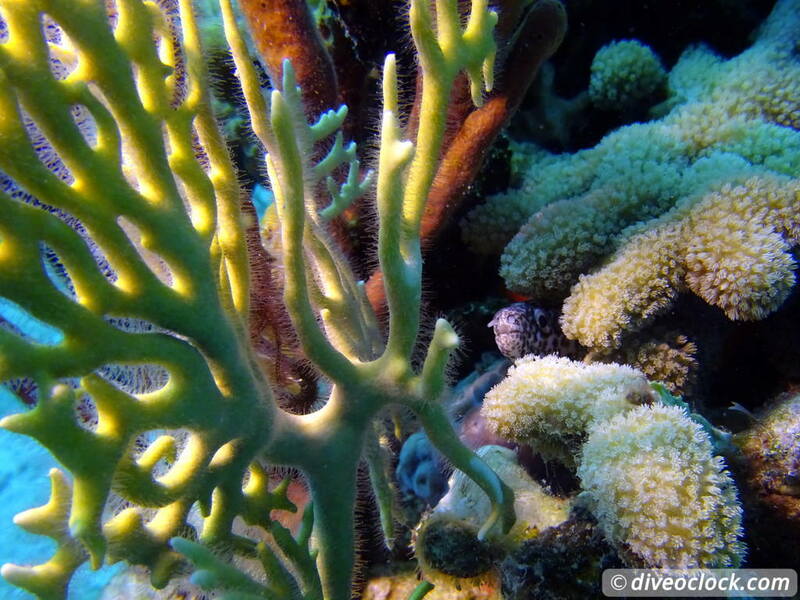 Melissa insight is a dive on a coral bank close to Cayo Arena, an inner (more enclosed) reef. 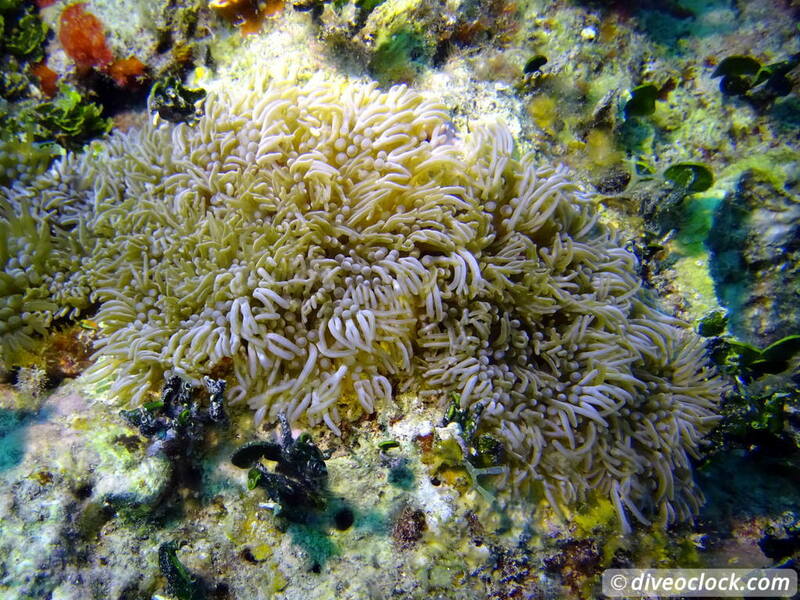 As the coral bank goes down to about 30 meters and is pretty steep you could call this a nice wall dive. 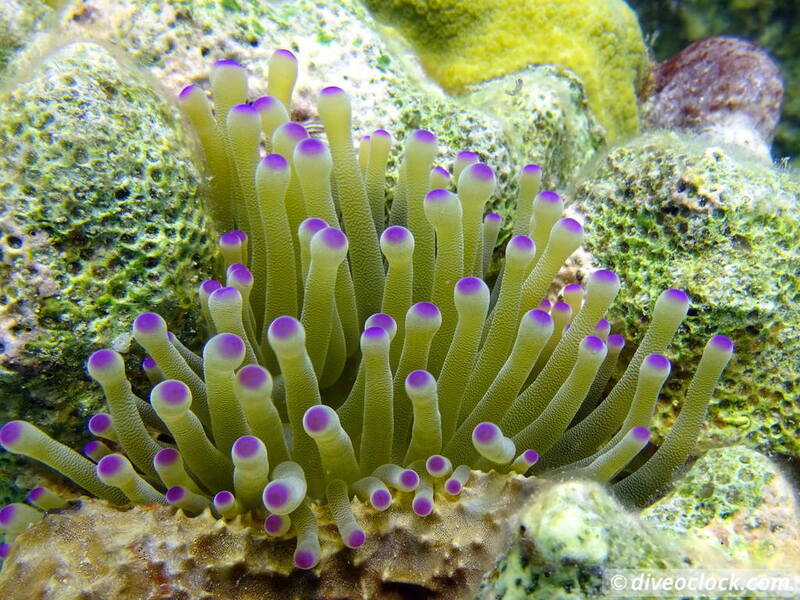 Here you can find many different species of anemones and corals as well as countless creatures hiding in between. 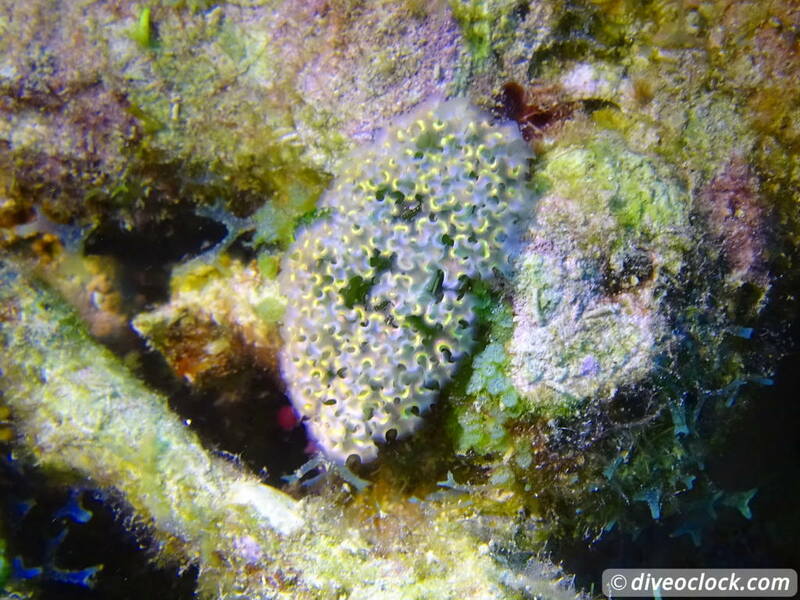 It is a fully and dense covered reef with more critters than fish, see the photos below. 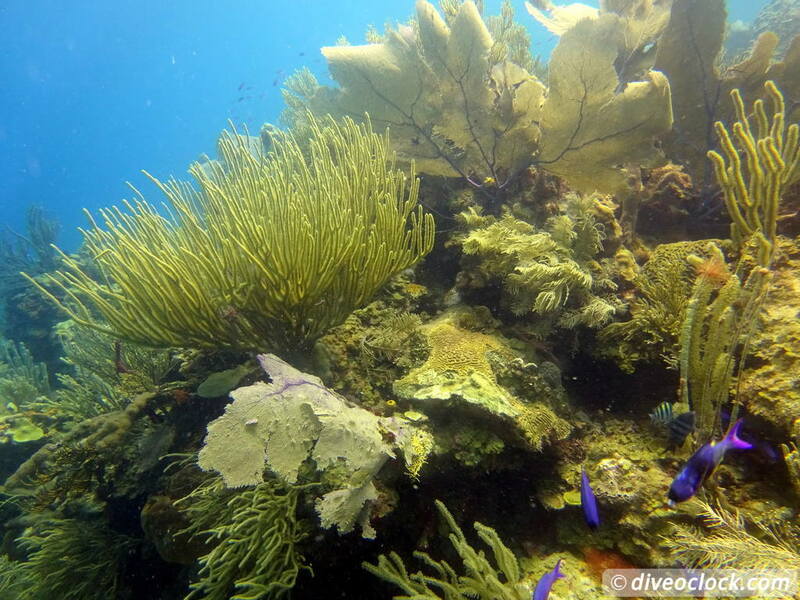 SCUBA diving at Melissa Insight, Punta Rucia. 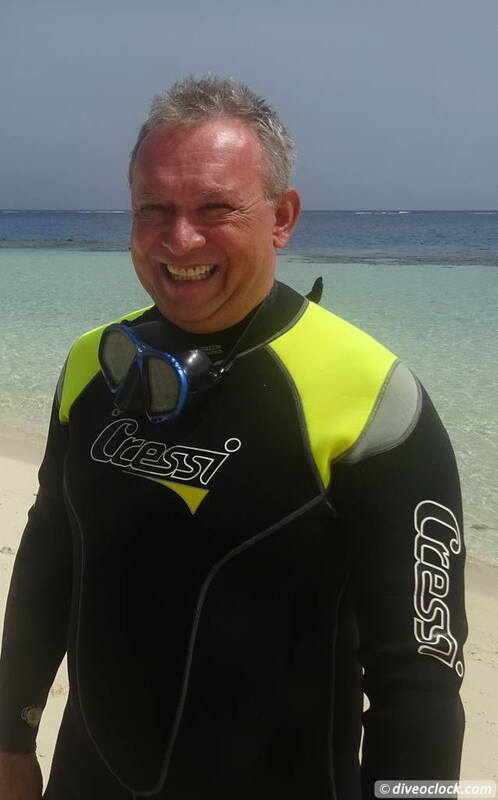 SCUBA diving at Cabeza del Cayo, Punta Rucia. 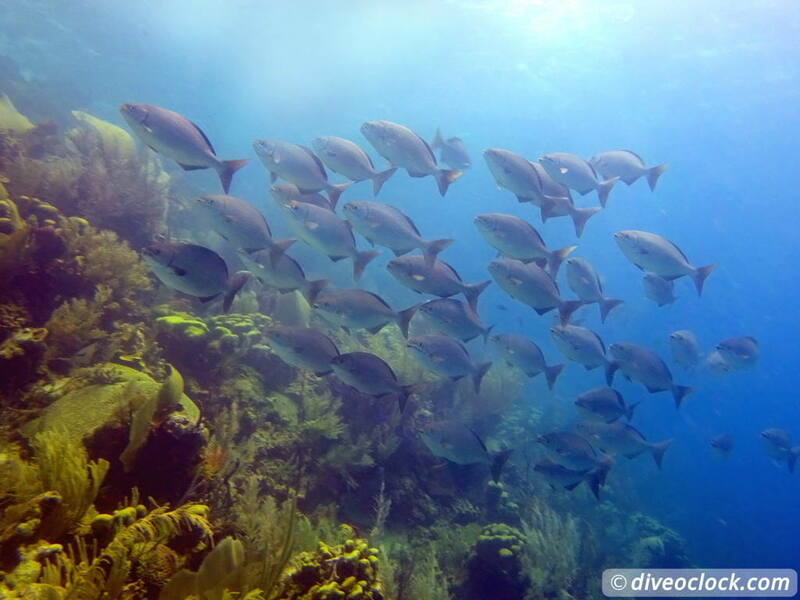 Cayo Arena is a beautiful dive spot that will get crowded at around 11 AM, so it is a lot better to dive early morning (for fish life as well). 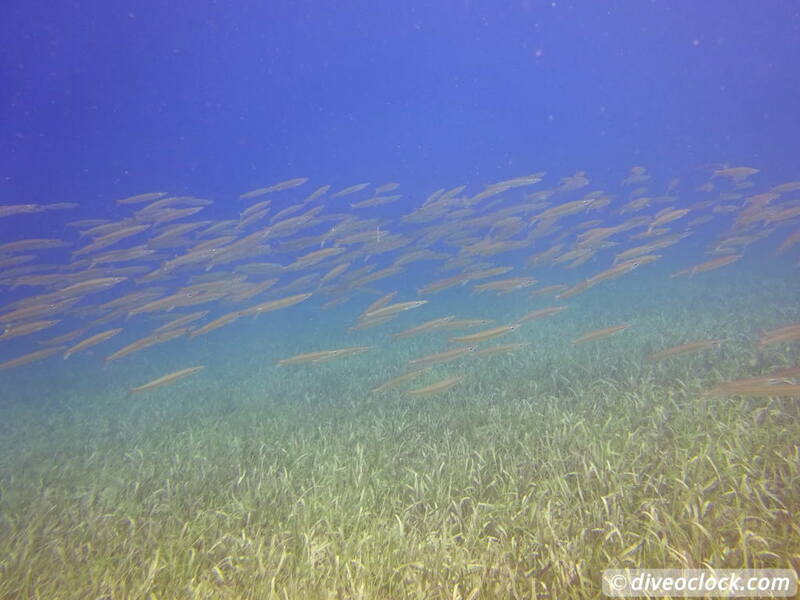 With many snorkelers and 'less educated' tourists around it might not be a surprise the fish seem to wait for food and swim to you when you enter the water. 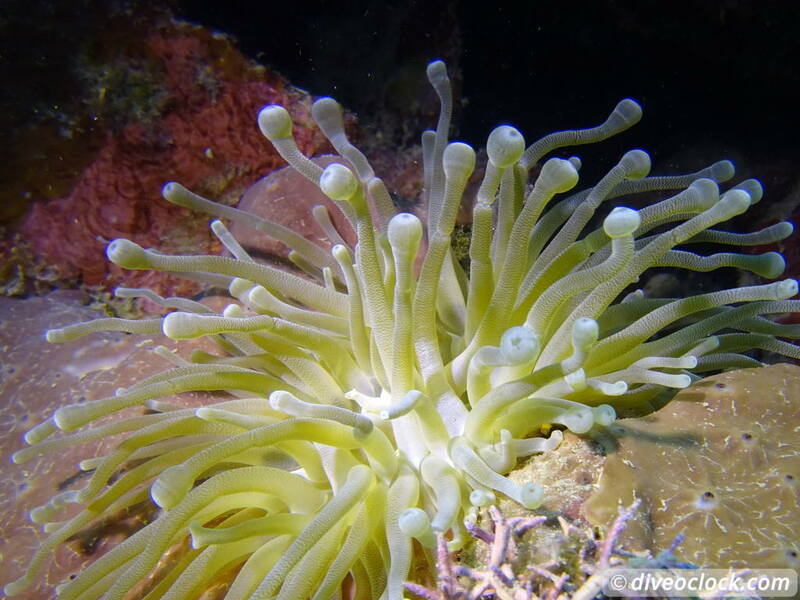 It gives a wonderful burst of action underwater but it is not a good thing. 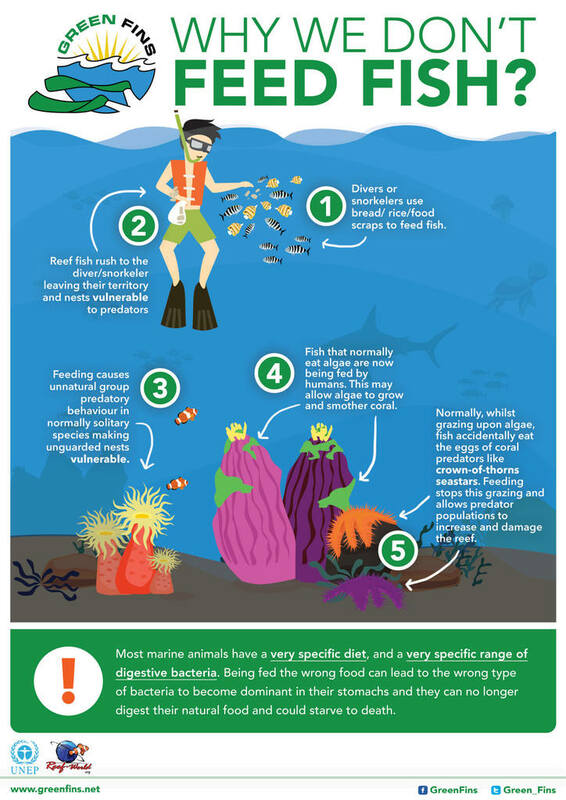 Have a look at the info-graphic from GreenFins to learn why you should not feed fish in a coral reef area. Luckily fishermen leave this area alone, as they probably see the economic value here. 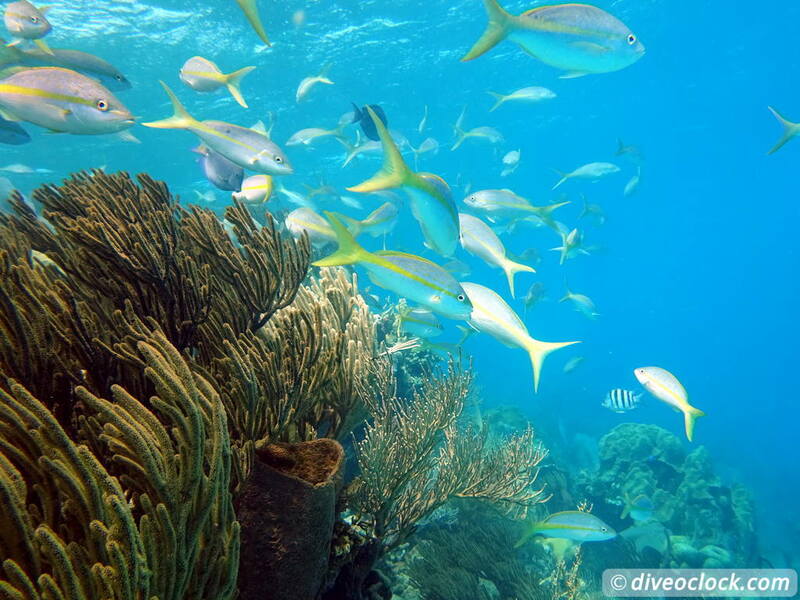 Cayo arena has a healthy coral reef system full of fish, even shoaling, corals and critters. 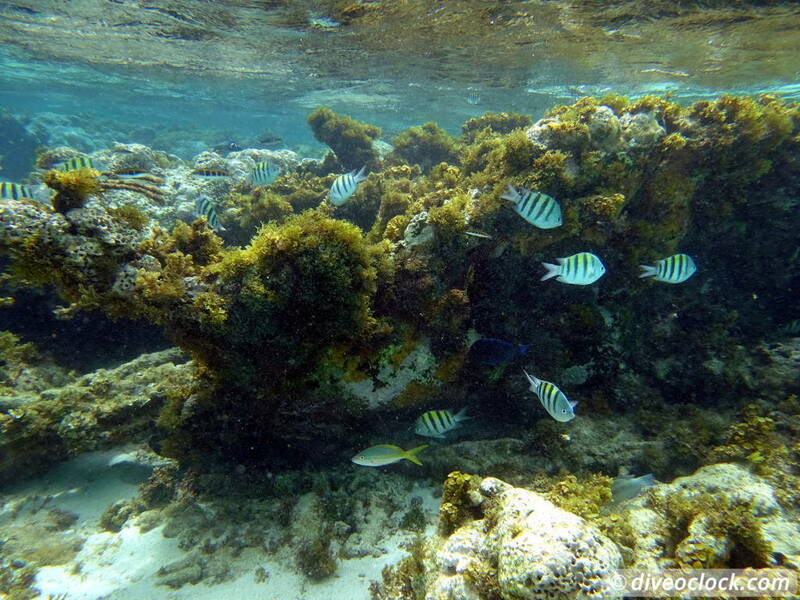 With an easy walk-in from the beach, there is a little passage through the outside of the lagoon. 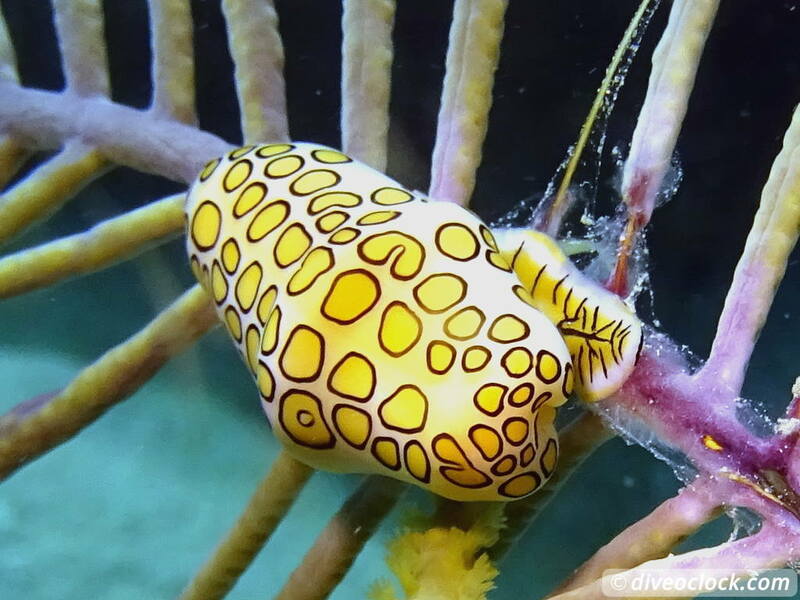 You can dive around half the atoll in about an hour, being only about 12 m deep this can be done by divers with little experience. 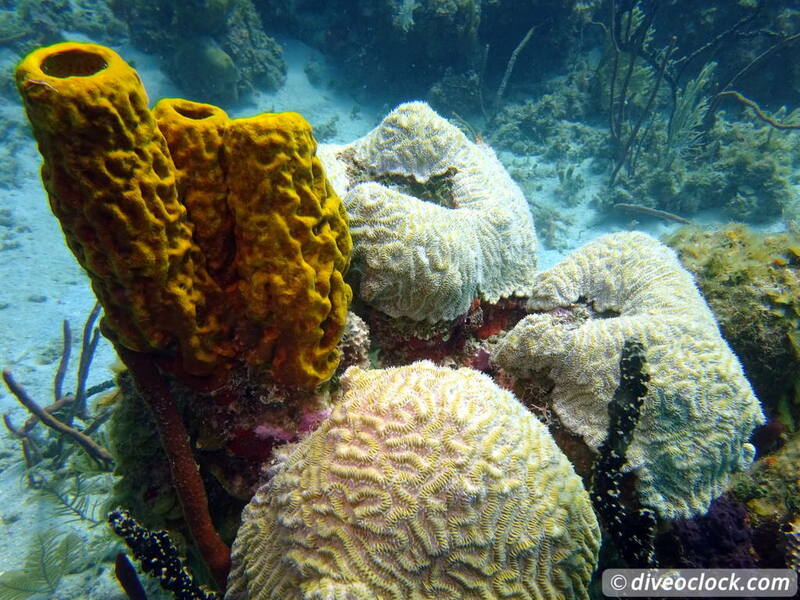 Diving Cayo Arena is basically a shore dive, you walk-in and out from the beach and there is barely current. 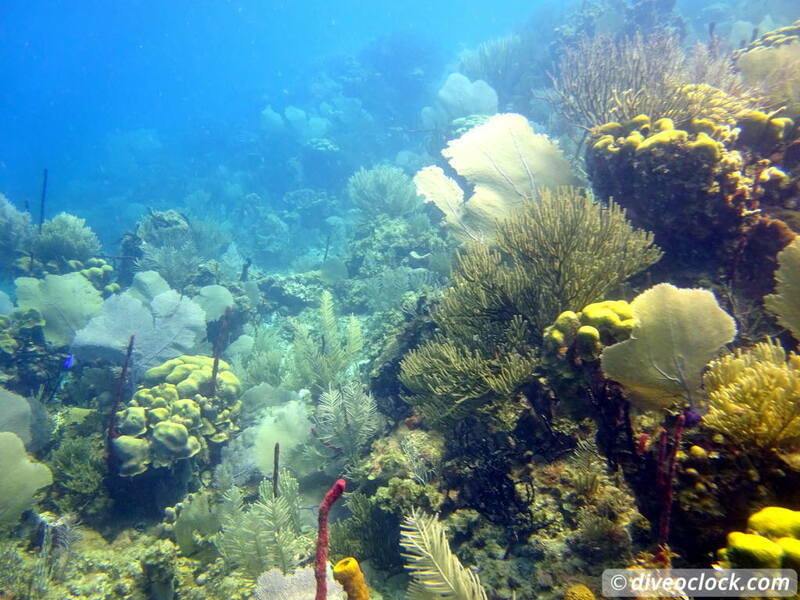 SCUBA diving at Cayo Arena, Punta Rucia. 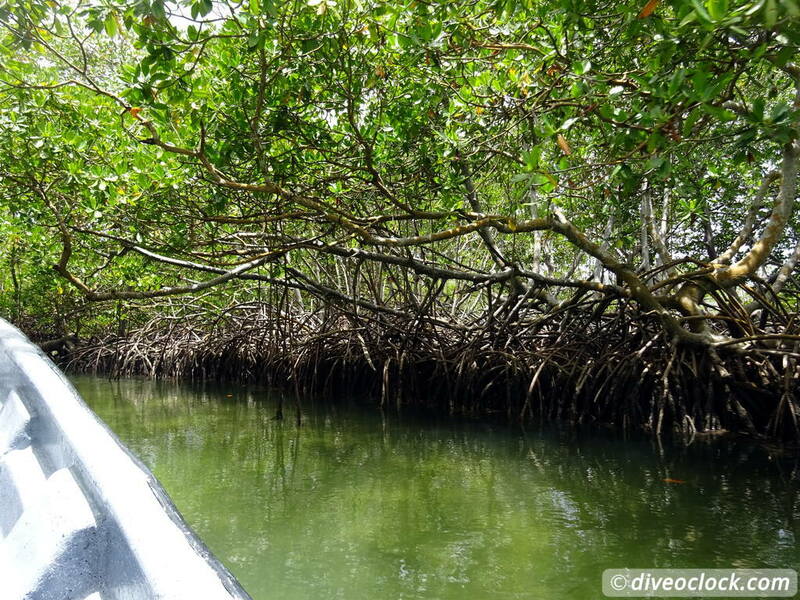 After these amazing dives we went back through the natural formed water ways of the mangrove forest. 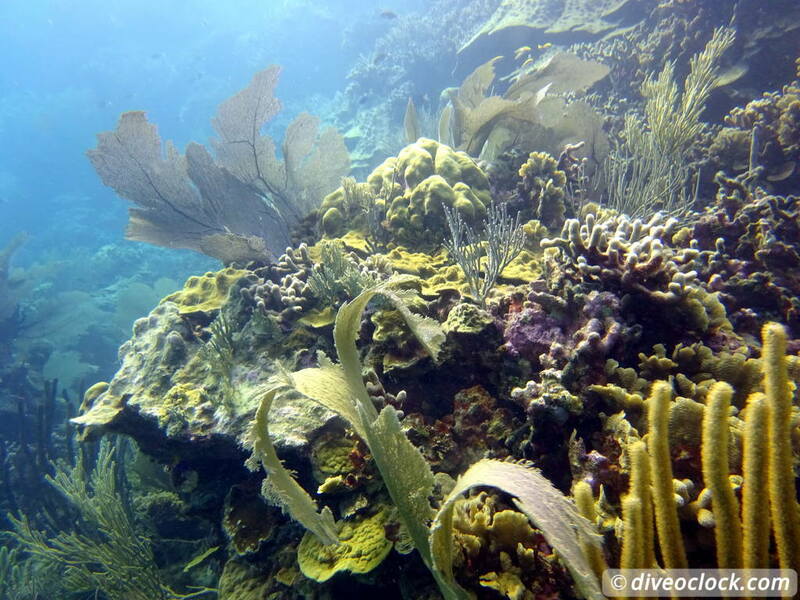 What a beautiful way to return home after some amazing dives at your own pace with a true paradise feeling. 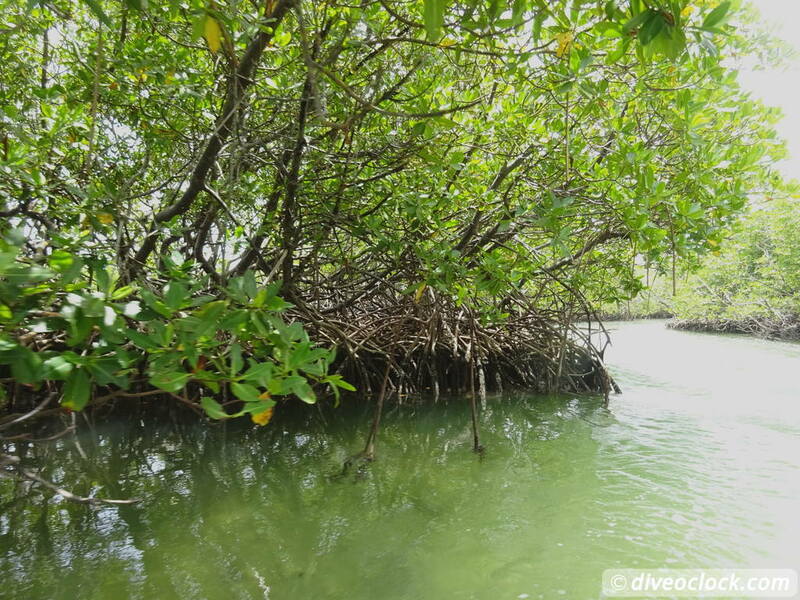 Exploring the mangrove forest, Punta Rucia. 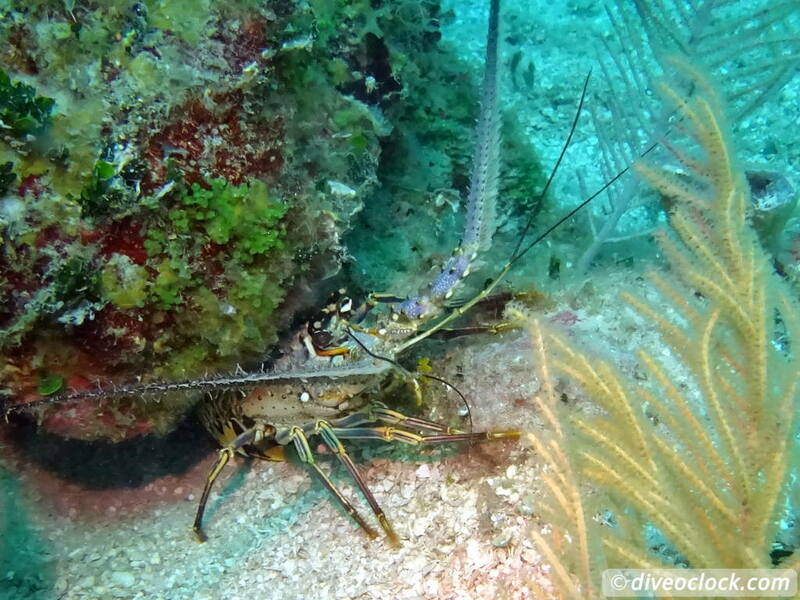 Corales Punta Rucia dive & stay, Dominican Republic. Rene showing some of his other passion: Cooking! 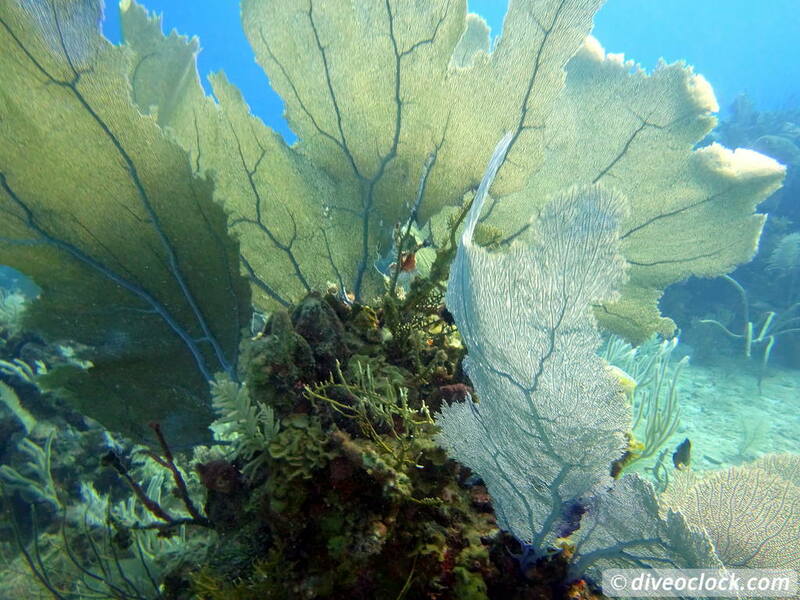 While Rene is certified as a PADI Instructor he is not in active teaching status. He is happy to share his experience and knowledge but it is not an official PADI dive center, no certification possible. With dive equipment for about five people and his own tanks and a compressor he takes up to four divers at the same time, perfect! The boats around are small, from local fishermen, creating a dive experience that is probably unique for many divers. 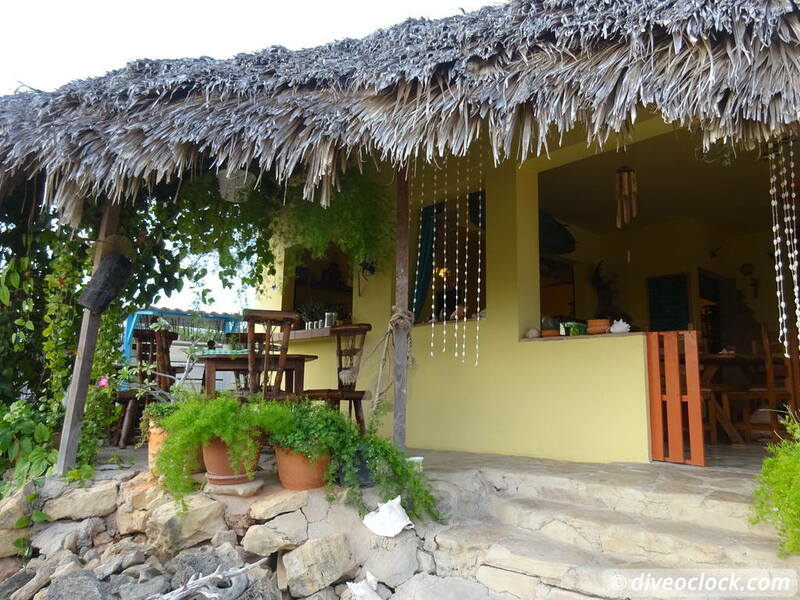 Corales Punta Rucia has 7 rooms for 4 persons (two double beds per room). 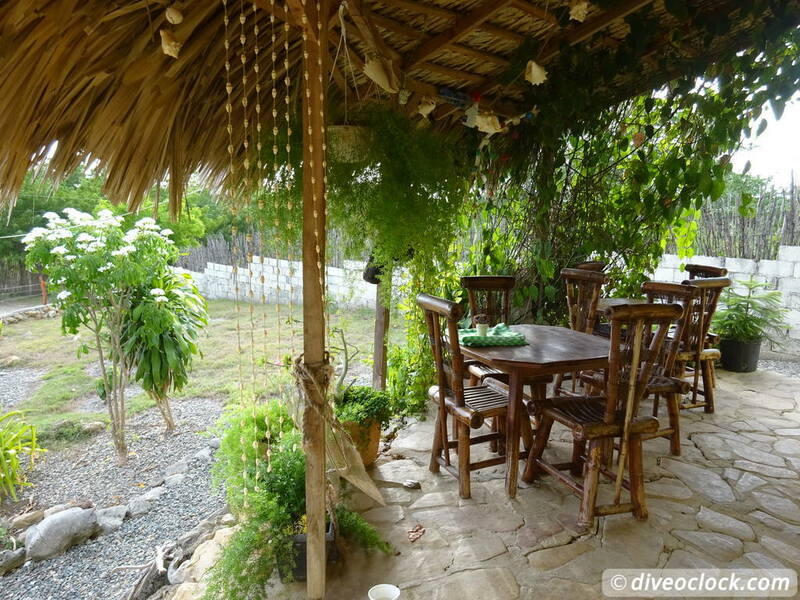 It is a small hotel with strong ecological efforts, but with everything you can ask for! The hotel runs on green energy and uses special painting to keep the rooms cool for example (no air-conditioning needed!) As mentioned before, Rene is a also a chef, so dinner and breakfast are really good! 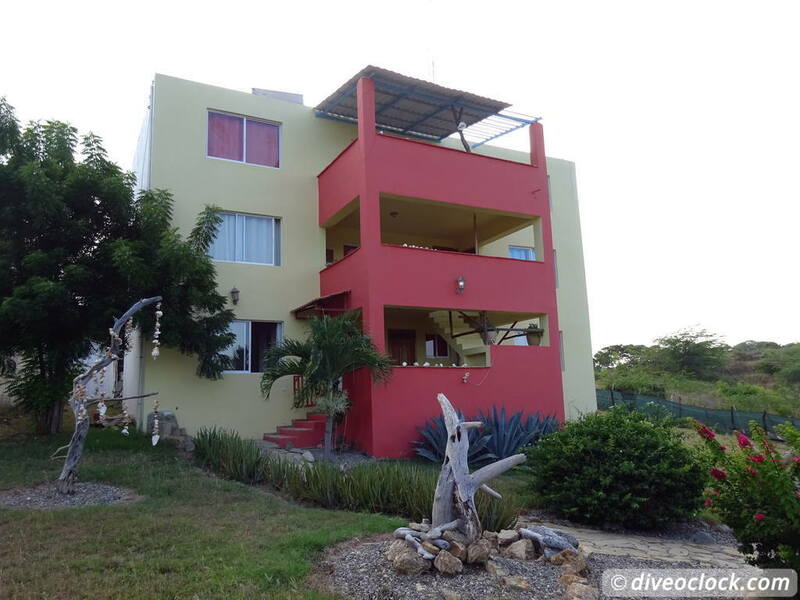 Rene will be happy to organize a custom made package for you including airport pick-up/drop-off, sightseeing trips and of course diving & snorkeling. There are some great land-based activities in the area, also a bit off the beaten track. As Rene has been living in the Dominican Republic for more than 17 years, he sure knows how to show you some special sights. 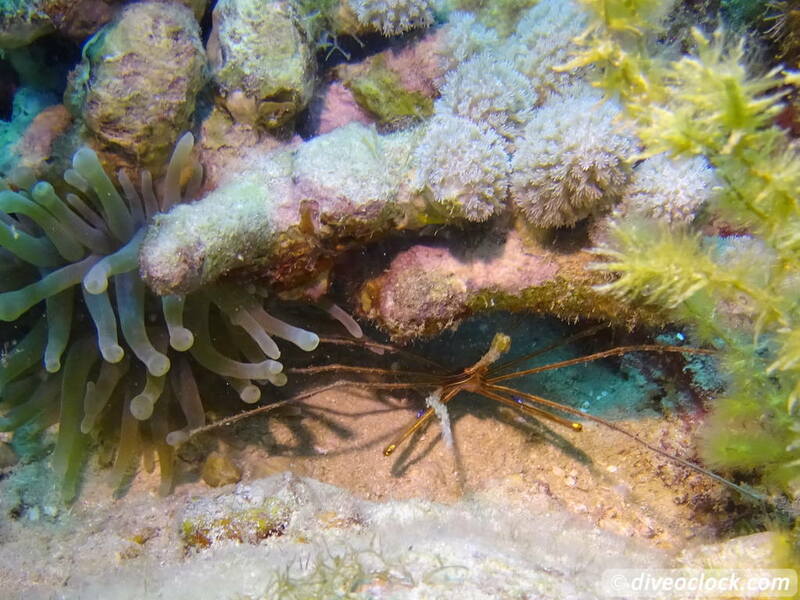 If you contact us (info@diveoclock.com) you get a special Dive o'clock discount voucher and more valuable information about the wider region. If you organize the trip yourself make sure to bring CASH, there is no ATM in the area and credit cards are only accepted at the high-end spots. Villa Isabela is your last change coming from Sosua, Puerto Plata or Santiago, make sure to fuel up as well. Renting a car: About 80$ for a Kia Picanto for one week at PayLess without insurance. TIP: If you come from Monte Cristi, make sure to drive past Estero Hondo as the other road is basically only for 4WD - very bumpy/slow driving. Go and explore this piece of paradise without crowds!